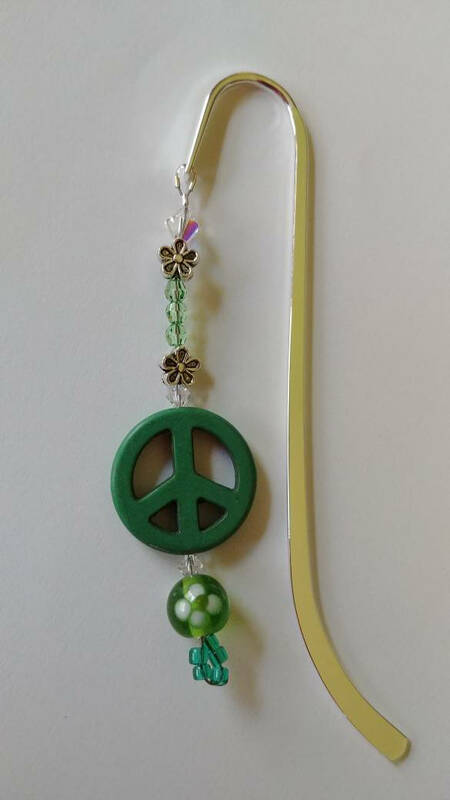 There's nothing like tranquil shades of green and a peace sign, to put you in the right frame of mind for reading...Adorned with flowers above and below it, this bookmark is sure to take you that exact place you want to go when sitting back and enjoying your book! Crystals used are Genuine Swarovski Crystal elements. 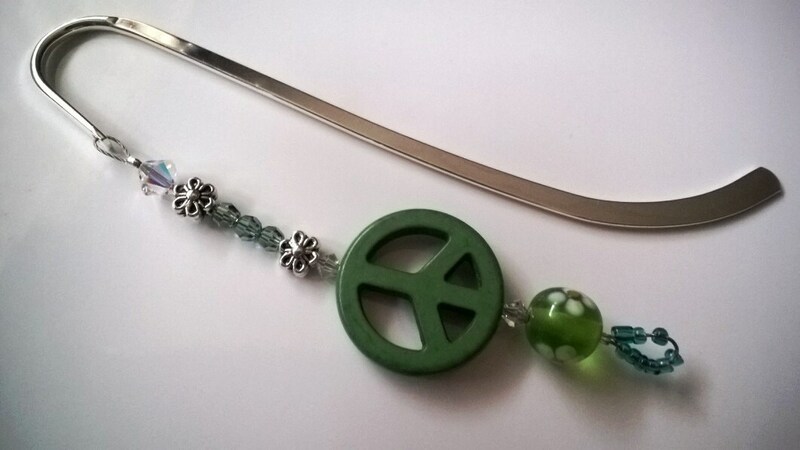 The bookmark itself measures 5 inches. 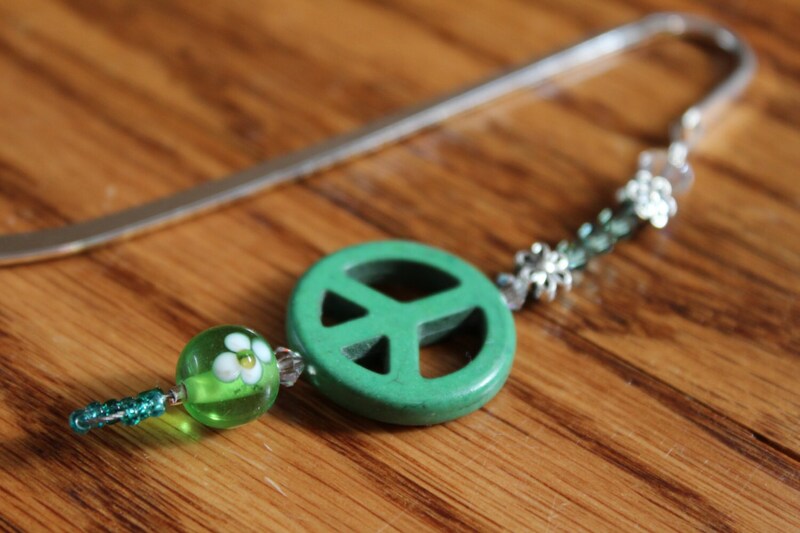 The beaded section (that dangles outside the book) is 3.25 inches long. 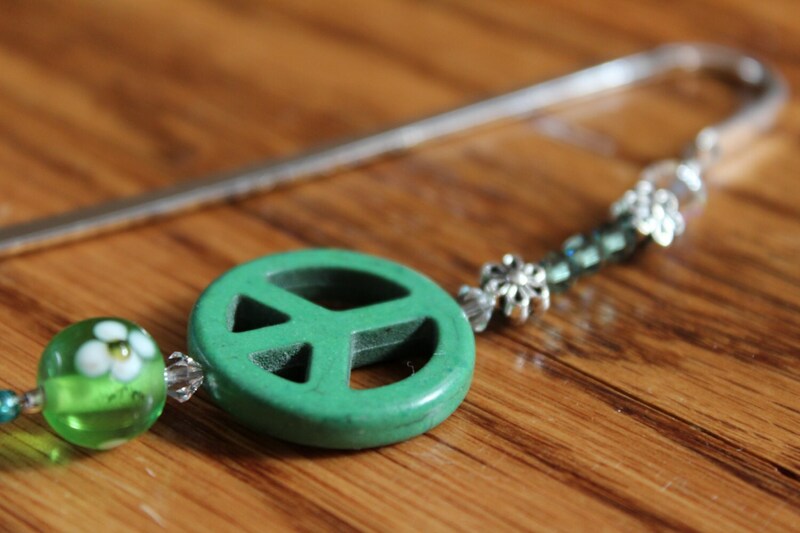 The actual peace sign is 1 inch in diameter. Very beautiful and excellently packaged and labeled-thank you!! !